GTribe, the world's fastest growing social network for PC gamers and technology enthusiasts, has partnered with AMD Ryzen, Radeon, Logitech G, XFX, Seasonic, NZXT, GIGABYTE, Seagate, STEIGER DYNAMICS and Nerve Software for an amazing global experience! 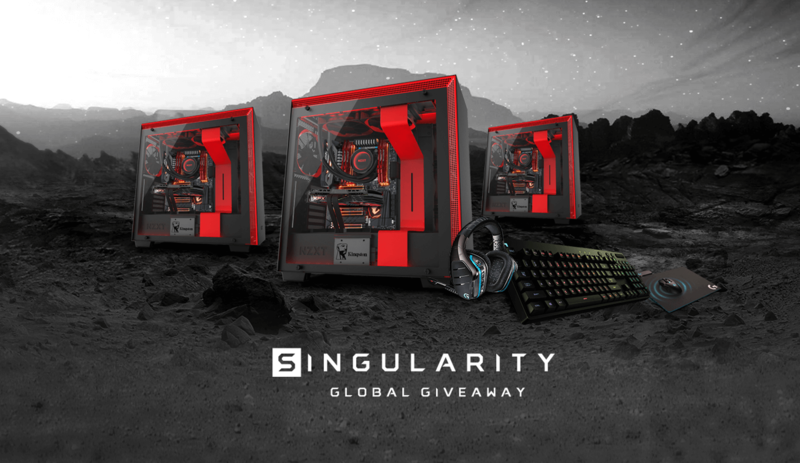 THREE (3) Grand Prize Winners will each receive an extreme gaming PC, handcrafted in Silicon Valley by STEIGER DYNAMICS. This stunning PC is hyper-powered by an AMD Ryzen Threadripper 1950X 16-Core processor and XFX Radeon RX Vega 64 Double Edition GPU. This savage gaming beast is also augmented by the latest top-of-the-line Logitech G gear. The combined value of the prizes is $12,000. Chassis: NZXT H700i premium mid-tower featuring CAM Powered Smart Device that controls RGB lighting and fans, and Adaptive Noise Reduction to optimize acoustics.